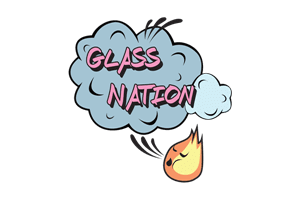 Glass Nation carries a wide selection of fashionable waterproof padded hard cases to keep your glass art safe. Our cases come in a wide variety of colors and sizes. We carry Str8 Case. A hard case manufacture that makes colorful hard cases for glass art. They have cases with two and three layers of padding as well as cases with wheels. Lastly, they are fitted with tough clamps that secure your art very well. Don’t ever worry about art falling out. Str8 cases even have a place to fit them with a padlock. So you don’t have to worry about someone unauthorized opening you case.